Named after one of our favorite hotel hangouts in NYC, the Crosby light fixture are reminiscent of classic cafe lighting. It’s angular diamond silhouette is an ode to the 1960s-modern era and features glass globes extending from the frame to create a beautiful, ambient effect. 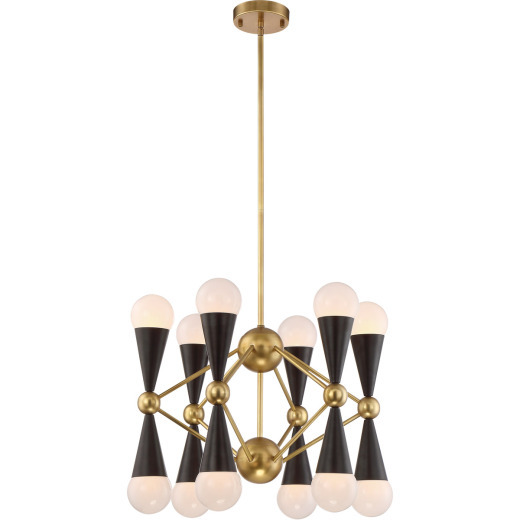 It’s hourglass shape gleams and glistens, detailed with matte black and brushed brass finishes. Features 12 or 16 60 W medium base bulbs.